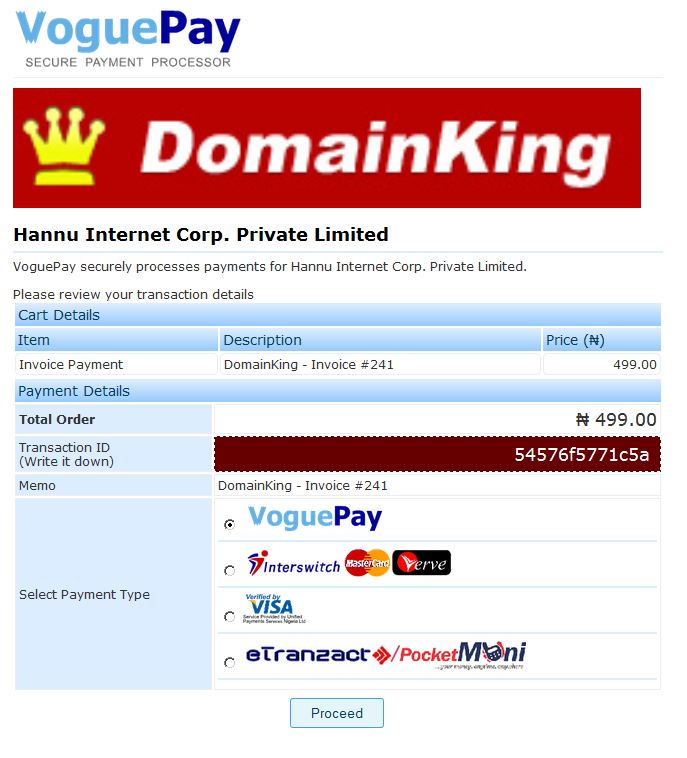 Recently, I published a post on DomainKing's domain offer which allows Nigerians to get domain name for as low as N499. Since then, I've received series of mails from those who don't even know how to register a domain name, talkless of how to link the domain name to their Blogger blogs. ==> Click on "New Users Register here"
==> If your domain is not yet registered by someone else, a congratulatory message will be displayed. 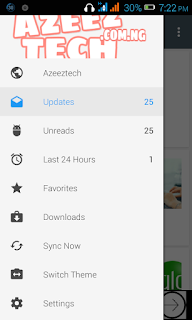 ==> Tick the 3 add ons but do not touch the Nameservers. 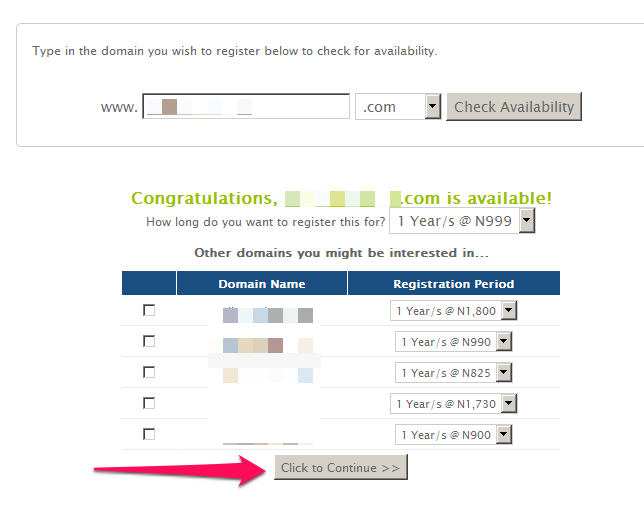 ==> Click "Continue to final checkout page"
==> On the "Review and CheckOut" page, you should see your personal details. If not, click on the "Existing customer" tab and sign in to your domainKing account. ==> If you have a domainKing coupon code, enter it in the promotion code field. ==> Select your payment method. 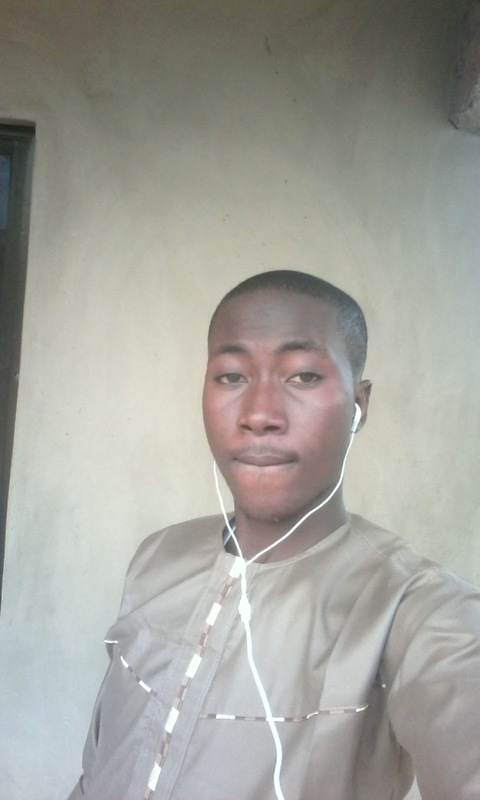 I use VoguePay because it lets me pay with my Nigerian ATM cards. 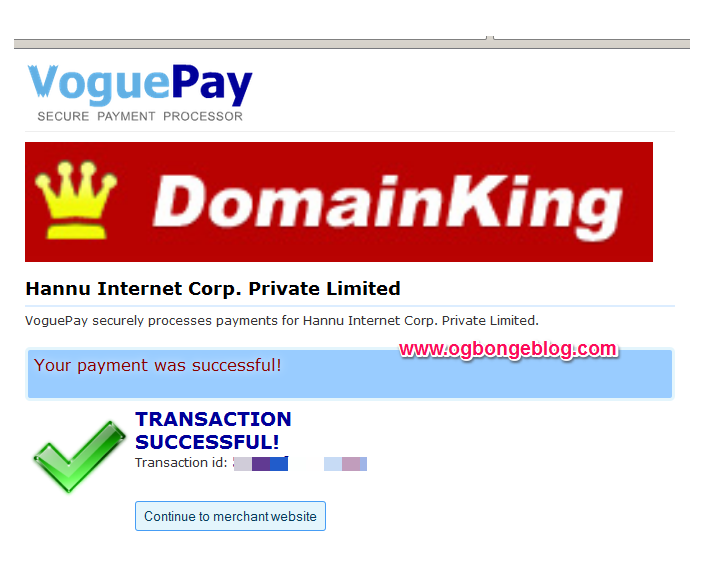 If you select VoguePay, you will be redirected to VoguePay page where you can pay for the domain name. 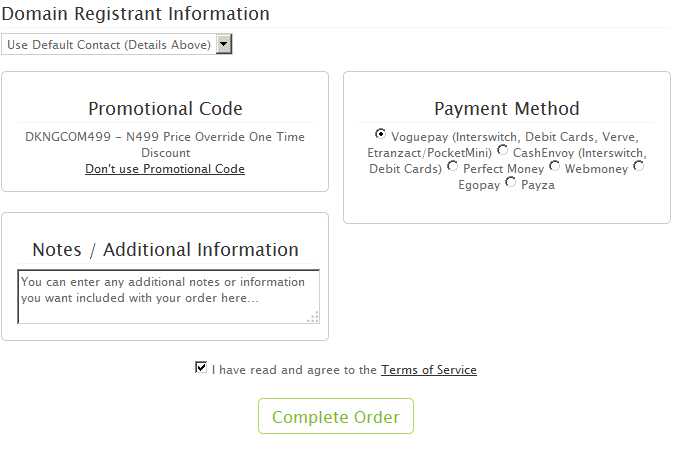 If you have funds in your Voguepay account, select the Voguepay option and click "Proceed". If you want to use your atm card, select the second option: (interswitch mastercard/verve) or the 3rd option : VerifiedBy Visa for Visa cards. Then follow the instruction to make your payment. If payment is successful, click "continue to merchant site". 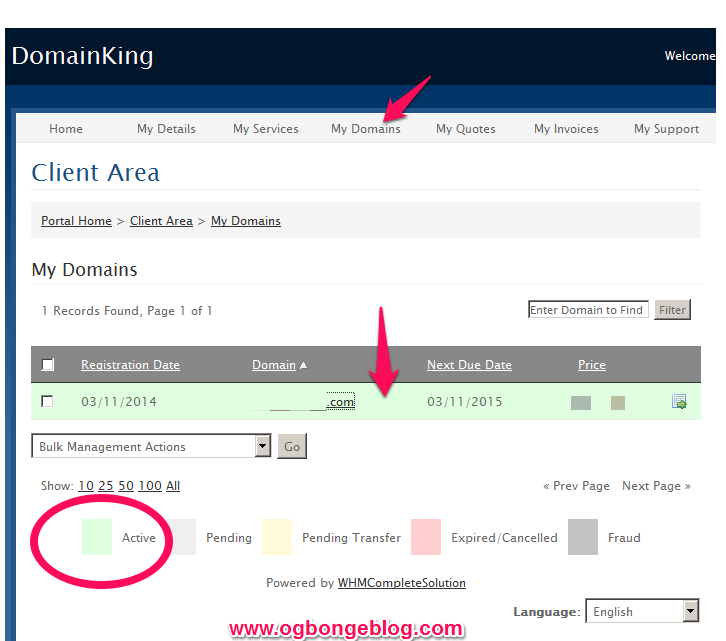 Once redirected back to your domain king account, click "MY DOMAINS". If the background of the domain name you registered is light green, it means it has been activated. If not yet active, wait till you receive activation notification from domainking in your mail. 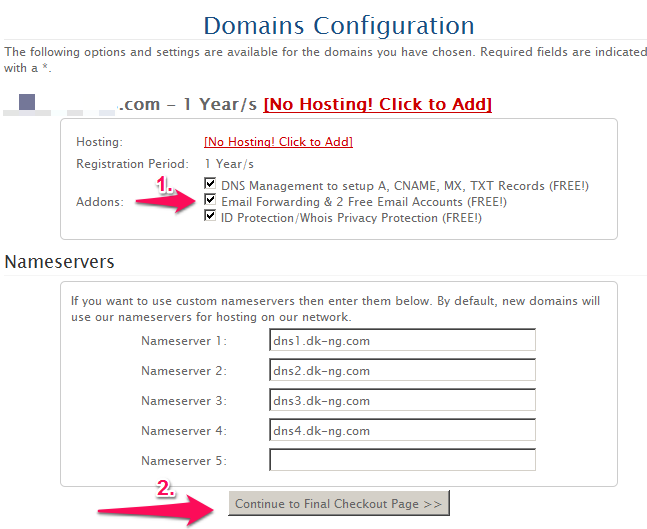 You can then use the DNS console to configure your domain for whatever you want to use it for. NB: If you are unable to pay with your ATM card, you can pay cash into VoguePay account, then use the VoguePay fund to pay for the domain name. Learn how to fund your VoguePay account here.